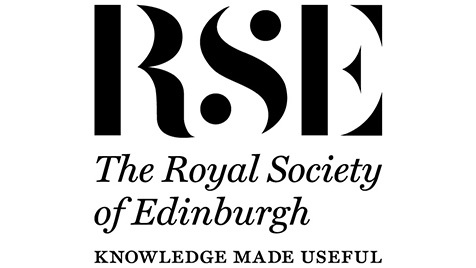 Professors Marcel Jaspars and Andy Porter have become Vice-Presidents of the RSE, with responsibility for the International and Business portfolios respectively. For several years Professor Jaspars was project leader of PharmaSea, a University-led project exploring the deep sea to uncover new bacteria that can be used as life-saving antibiotics. Through this work he has advised the United Nations on the conservation and sustainable use of marine biological diversity in international waters. His research involves several international research collaborations, most recently as the UK principal investigator on a project investigating antiparasitic drug discovery with the University of Ghana, and with the University of Chile on the microbiology and natural product chemistry of the Atacama Desert. Professor Porter is currently Professor of Medical Biotechnology and Director of the Scottish Biologics Facility at the University. He plays a key role on the Board of ONE Life Sciences and BioAberdeen Ltd, which will help deliver a new £40m commercially focused bio-therapeutics hub at the University’s Foresterhill health campus. With a strong track record in supporting University spin-outs, Professor Porter is Chief Technology Officer of the multi-award winning biologics company Elasmogen Ltd and sits on the Board of NovaBiotics Ltd, which recently announced the successful completion of its Phase 2b Cystic Fibrosis trial for Lynovex™. NovaBiotics won EuropaBio’s most innovative SME in 2017. Along with a team of young graduate entrepreneurs from Aberdeen University, he also helped establish a portfolio of award-winning cocktail bars and opened Langstane Liquor Ltd in 2015, Aberdeen's first gin distillery for 100 years. The company now exports and sells Porter’s Gin worldwide. Professor Porter said: “As Vice-President I will take over the Chair of the Economy and Enterprise Committee surrounding myself with world-renown economists and business professionals, with an opportunity to communicate our views - and those of the RSE - directly to the Scottish Government.